Students will become reserve officers of medical service. 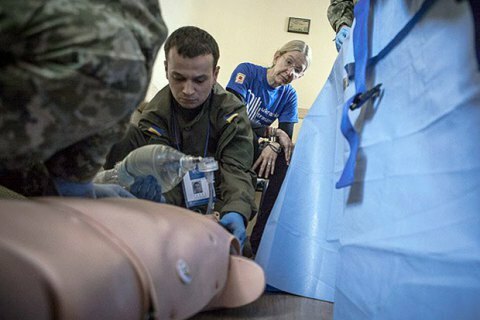 Students of higher medical and pharmaceutical educational establishments will take mandatory military training for reserve officers of medical service, according to bill No 2210a passed by the Ukrainian parliament. The bill is expected to facilitate the restoration of the training system for students of higher medical and pharmaceutical educational establishments to deliver medical aid in extreme conditions and in combat terms, the creation of a professionally trained mobilisation resource of the national system of medical support during a special period, minimisation of casualties, protection and rescue of lives and health of both troops and civilians in times of peace and war, and the strengthening of national security and defence.